Global Smart Washing Machine Market is a comprehensive study on current state of Smart Washing Machine Industry along with competitive and comparative analysis of key players, demand for products, segmentation by type, applications and investment opportunities for interested people or companies. 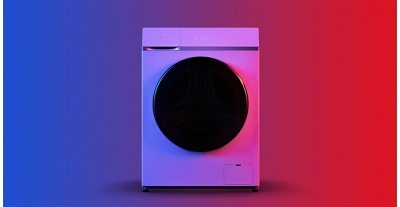 According to this study, over the next five years the Smart Washing Machine market will register a 13.5% CAGR in terms of revenue, the global market size will reach US$ 15300 million by 2024, from US$ 8130 million in 2019. In particular, this report presents the global market share (sales and revenue) of key companies in Smart Washing Machine business, shared in Chapter 3. Smart Washing Machine is one kind of washing machine of highly automotive. Compared to the traditional machine, this kind of machine can sense the quality and weight for clothing, judge water level and time, times of washing. It built-in almost four sensors, insuring that water level as clothing quantity,precisely controlling and washing smartly. As the most important part of Smart Home and Smart Appliance (In fact, the market of smart washing machine accounts for about 25% of the total market of smart appliance), the market of smart washing machine has experienced a rapid growth over the past five years, and the trend is forecasted to continue in the following decade. Worldwide, Europe and US are the largest consumption market of smart washing machine, driven by the high consuming capacity and desire for convenient life style. The market in Japan, South Korea, China and etc. are also developing fast. This report presents a comprehensive overview, market shares, and growth opportunities of Smart Washing Machine market by product type, application, key manufacturers and key regions and countries. •	To study and analyze the global Smart Washing Machine consumption (value & volume) by key regions/countries, product type and application, history data from 2014 to 2018, and forecast to 2024. •	To understand the structure of Smart Washing Machine market by identifying its various subsegments. •	Focuses on the key global Smart Washing Machine manufacturers, to define, describe and analyze the sales volume, value, market share, market competition landscape, SWOT analysis and development plans in next few years. •	To analyze the Smart Washing Machine with respect to individual growth trends, future prospects, and their contribution to the total market. •	To project the consumption of Smart Washing Machine submarkets, with respect to key regions (along with their respective key countries).